Valentine’s Day is well known for celebrating love between two people. I feel Valentine’s Day isn’t just for lovers, but for friends and family, as well. After all, these are people you love and cherish. Why not show your love and appreciation for them? 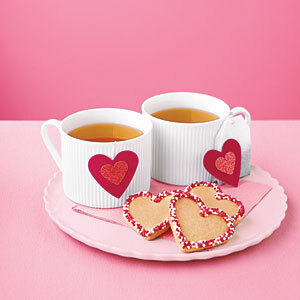 Try our selection of Valentine’s Day gifts that are sure to brighten up everyone you love! If you have a tea loving friend or family member, while tea is a good gift, but why not an accessory or an essential? By essential, try a tea kettle or a teapot. One can never have too many of those? If one ever breaks, you can always have extra! As always, our English Tea Store teapots come in many colors and you can choose from 2 cup or 6 cup teapot! Perhaps the person you love is from the other side of the Pond? Wouldn’t you like to give them a taste of Home? We’ve got our selection of British sweets and chocolate to start off with. Some of our most popular candies include the world famous melt-in-your-mouth Cadbury Dairy Milk and the gooey but heavenly sweet Walkers Toffee. Let your love show their patriotism with their favorite items featuring the Union Jack. Give them a travel mug to sip their tea from or let the world know where they’re from with they’re shopping bag. Or surprise your Across the Pond Honey with a flag of Home! Great Britain, Scotland, and plenty more! Hang it in the kitchen or living room, it will bring a smile! 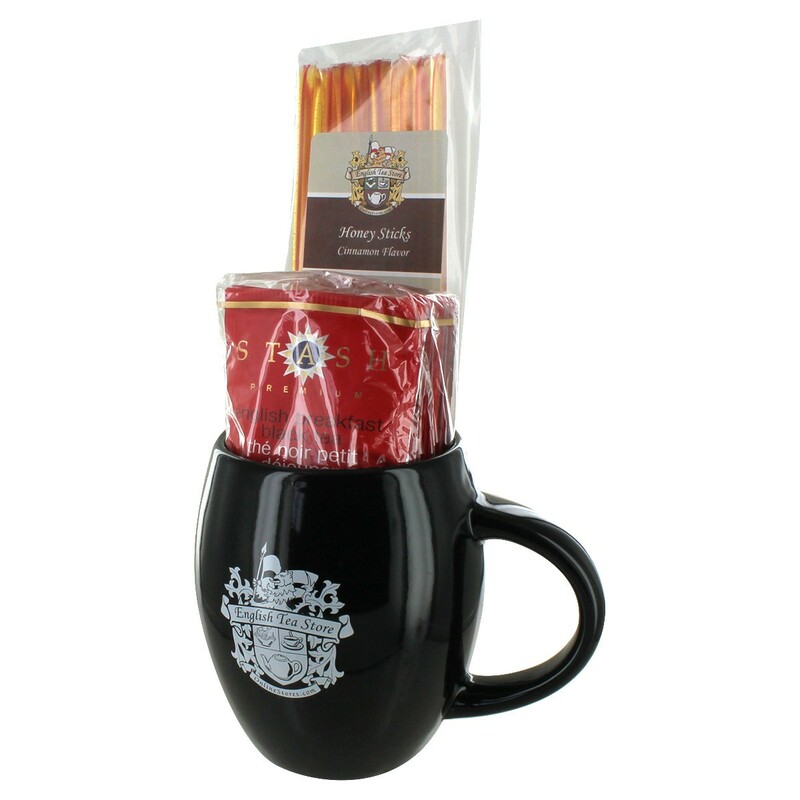 You can always put a s urprise package together but if you’re strapped for time, try our gift baskets. They’re easy, convenient, and best of all, there’s just about one for everyone! 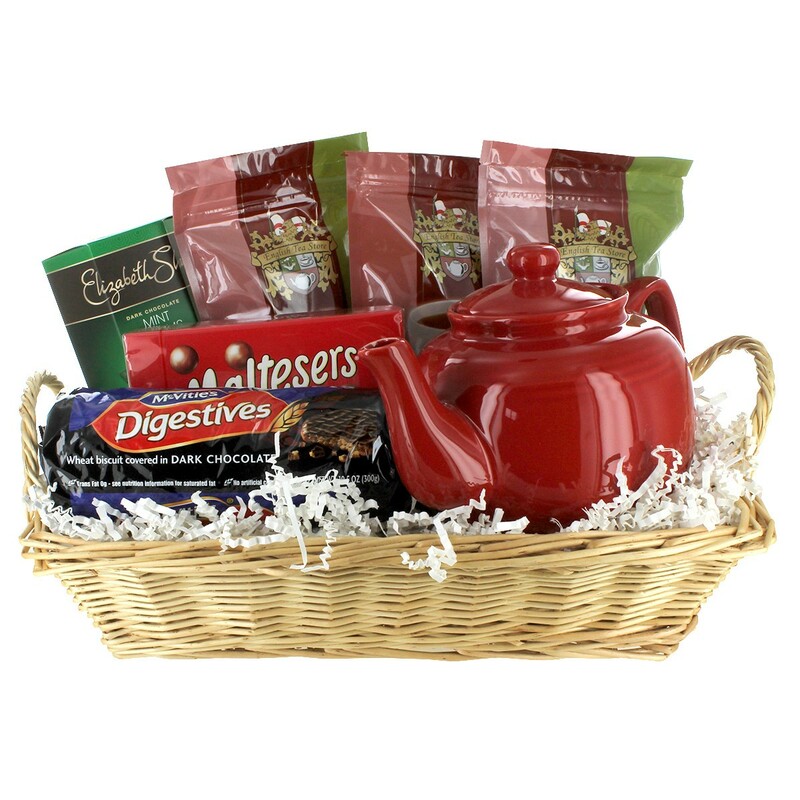 If you know someone who is a fan of mint, we have a mint tea time basket featuring chamomile tea, or someone who is just getting into tea, there is the English Tea Store basket, and then the Deluxe Afternoon Tea for the full English tea experience! There’s just about something for everyone. Take a look around our site and check out all of our categories!